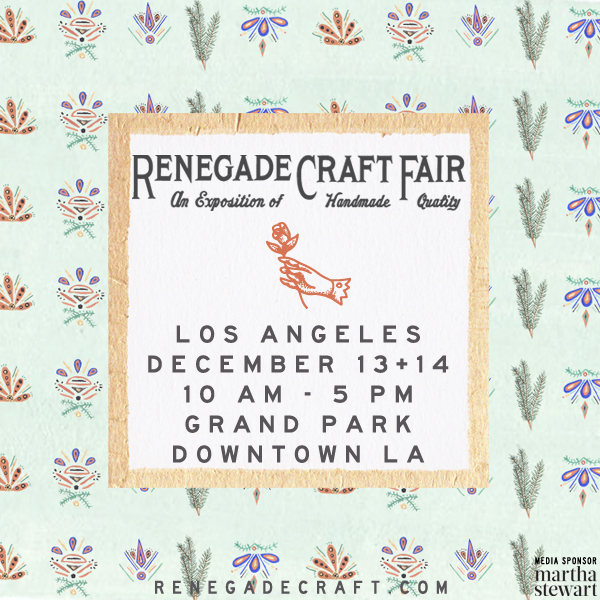 Los Angeles: Renegade Craft Fair is THIS WEEKEND! It’s finally time for Renegade’s Holiday Market here in Los Angeles! I’m looking forward to spending the weekend catching up with my favorite makers from around my community, and talking with shoppers about the hard work and love that goes into my work for Cotton & Flax. Plus, I get a chance to buy gifts – it’s always more fun to buy directly from local artists and makers than to brave the mall at the 11th hour. Renegade’s Holiday Market takes place at the beautiful Grand Park (Downtown LA between Broadway and Spring St.) from 10-5 on Saturday and Sunday. 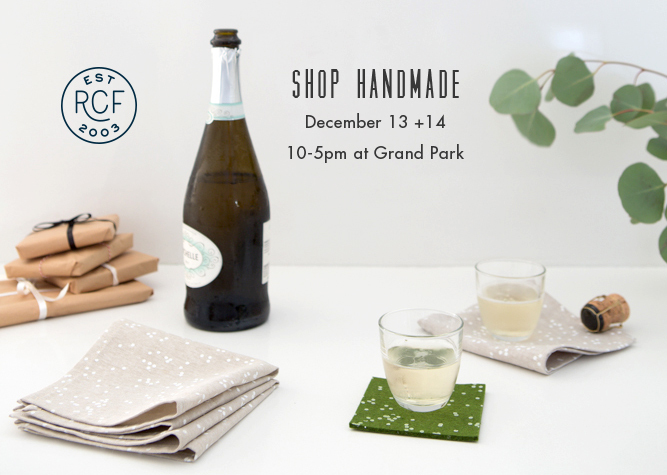 There’s no entry fee, so bring a friend or two, and support local designers while you finish your holiday shopping! Cotton & Flax will be at booth #164 all weekend, with tons of giftable coasters, tea towels, napkins, trivets, and pillows – plus a special sale section just for Renegade. Stop by and say hello!